Pickup truck group test review - which are the best pickups on sale? If you're considering a pickup truck as a working vehicle or an alternative to a passenger car, there's a wide variety of models on offer in the UK. Most of them are highly competitive on price, too – higher-specification models often undercut SUVs with similar off-road ability, even before the tax advantages have been considered. Choosing between pickups is a real challenge, then, particularly If you don't already have a preferred brand. 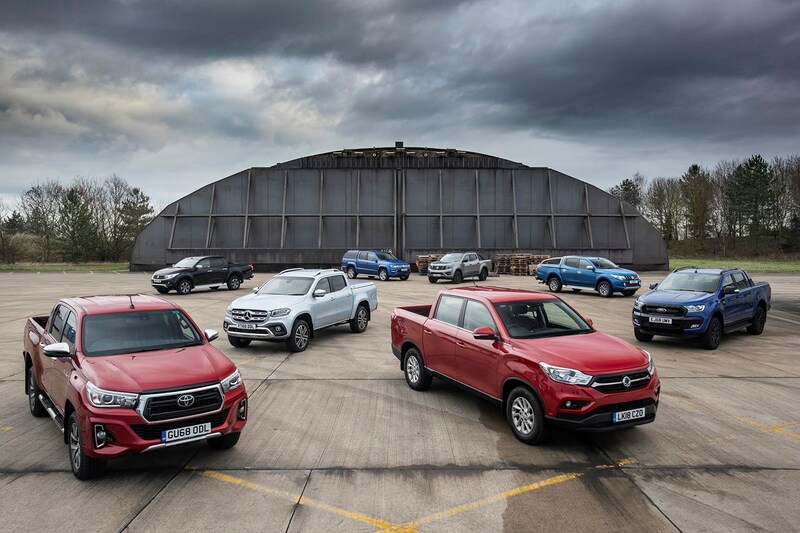 So Parkers Vans and Pickups has gathered them all together to help you decide in this mega group test. We've secured the higher specification double-cab versions of (almost) every pickup currently offered on sale to see which is best for you, and which is the UK's best overall pickup. Each one has been lived with for at least a week of regular use by our experienced road testers, and most have been driven on- and off-road at suitable events for our in-depth reviews or as part of long-term tests. 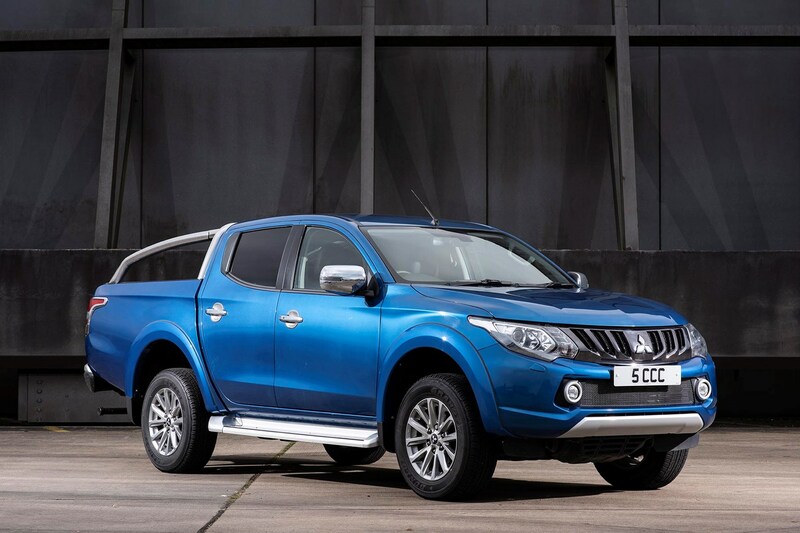 Although many of these are offered in utilitarian specifications, we've selected double cab models for their popularity as family and lifestyle vehicles, plus their tax advantages for company car drivers and sole traders. This also allows a fair comparison of convenience and technology features that are rarely offered on commercial vehicles, but taken for granted on passenger cars. Which pickups are offered for sale in the UK? 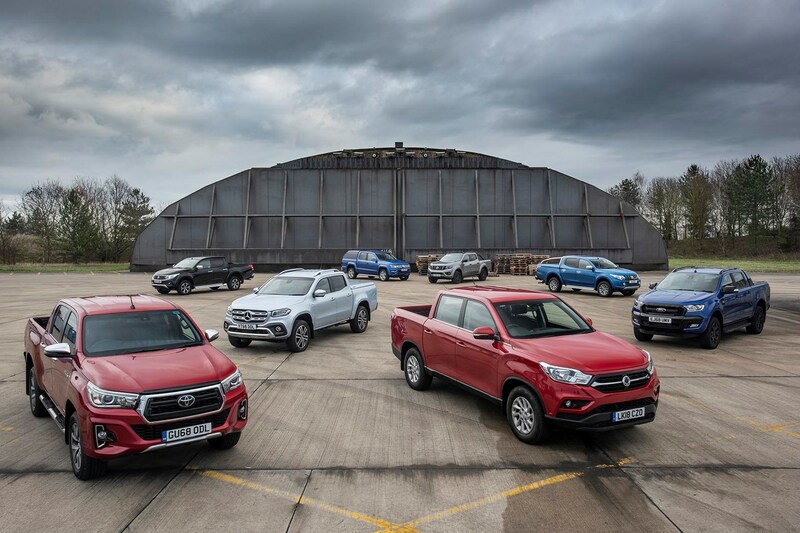 The Isuzu wasn't available for our group test picture, but we've driven the latest model separately for a fair comparison with other pickups on the market. Each of these lifestyle-trim trucks features four-wheel drive, five seats and four doors, and is available with an automatic or manual transmission. 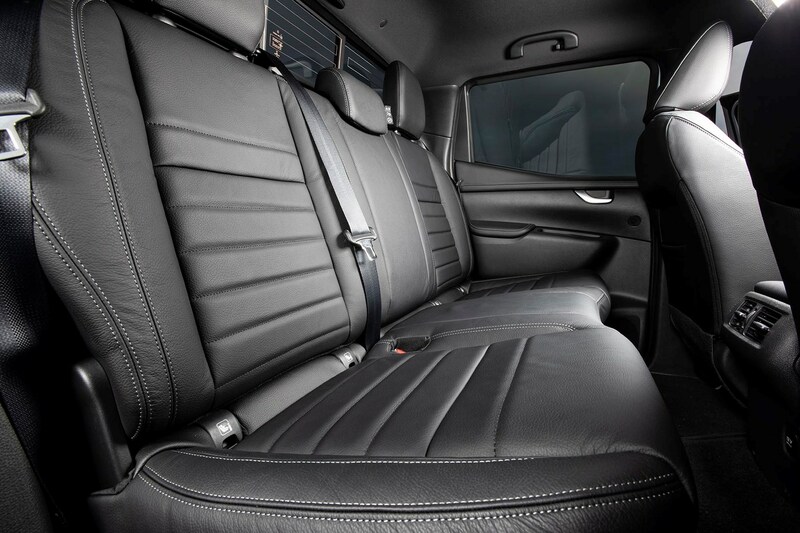 Heated leather seats are common standard equipment at this level, and most have climate-control and decent infotainment. For a purely working environment, there are more basic specifications available; in some cases these have rear-wheel drive or lower power engines. To make it easy for you to choose the right pickup for your needs, we've judged them on on-road ability, off-road capability, towing capacity, comfort and costs, then ranked them according the best overall experience. There's little deviation from the pickup formula for 2019, but the class average is improving. All of these pickups are likeable vehicles with real character, and they're easy to live with day to day. Want some pure data without opinions? 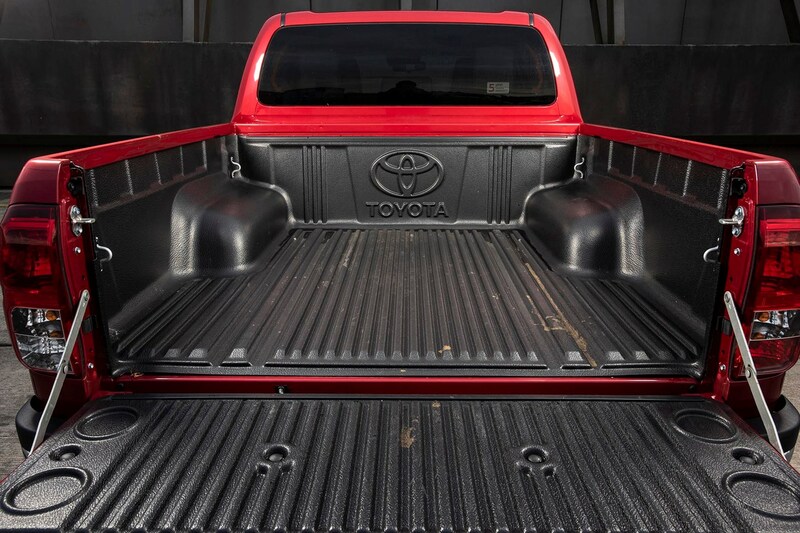 Check out key technical specifcications, dimensions and equipment for 2019's lifestyle pickups. 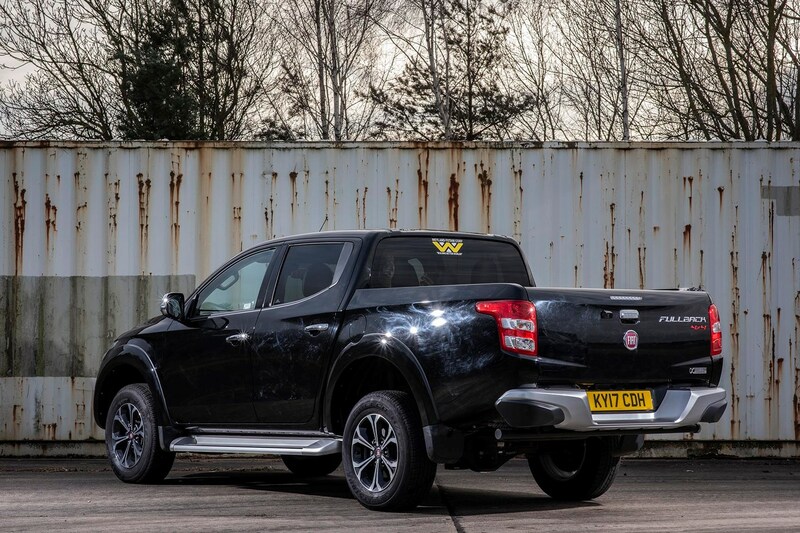 The Fiat Fullback 180 LX is almost directly comparable to the Mitsubishi L200 Warrior, as it's exact same pickup beneath the Fiat branding and both sit in the middle of their respective ranges. The 2.4-litre engine and five-speed automatic gearbox are the same, as is the body and chassis. 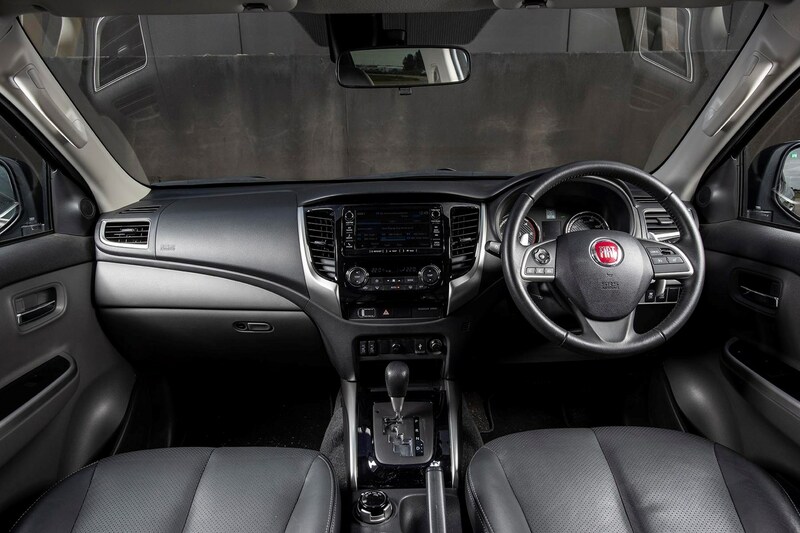 That does mean that rather than Fiat's typically funky interior style, it's got Mitsubishi's uninspiring 50-shades-of-grey (plastic) dash. A more distinct variation is the Fullback Cross, which has better off-road ability thanks to a standard-fit locking rear differential and knobbly tyres in addition to the Super-Select II four-wheel drive system. It's also got a cool sports bar as standard. Tech lags behind the L200 slightly, and though it comes with sat-nav there's no Apple CarPlay support on models with an infotainment system – it does have a CD player for old-school tunes. Manual or auto models are available, the latter being a smooth, but dated five-speed automatic. It also has a lower towing capacity of 3,100kg. Fiat charge more for servicing than Mitsubishi dealers do, offsetting the initial cost savings somewhat, and the warranty is shorter. 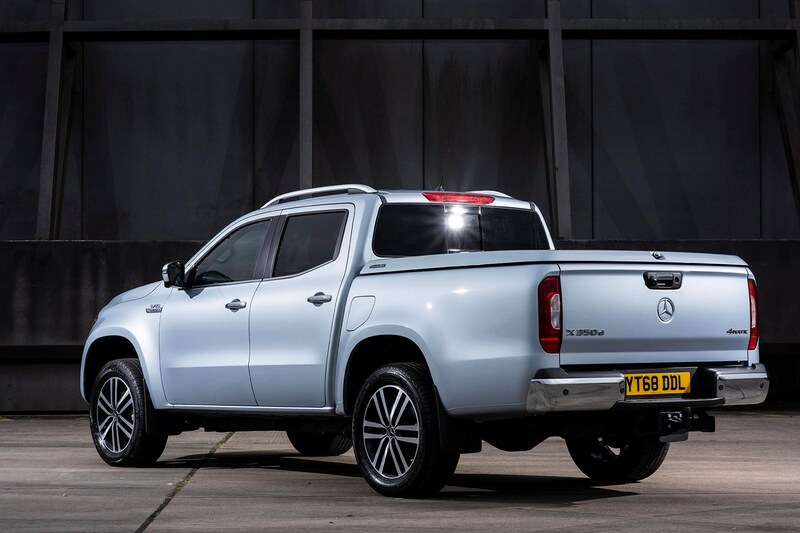 Like the Mitsubishi, it's a relatively lightweight pickup with a decent amount of power, and although it loses out in refinement to the Ranger, Amarok and X-Class, it's nimble to drive and comfortable on long journeys. The ride can be a little unsettled when unladen on fast rough roads, but not worryingly so. Like the L200 it has the benefit of full-time all-wheel drive, which makes it feel a lot safer on greasy or snowy roads. 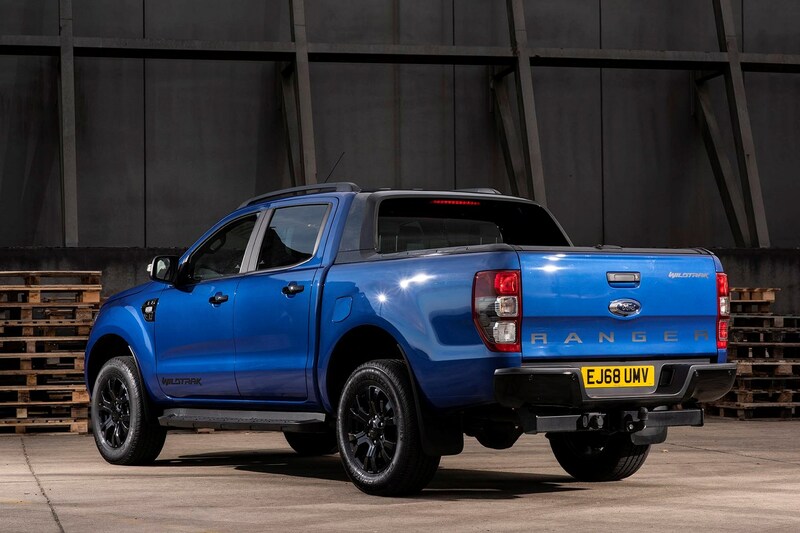 The Ford Ranger is the UK's bestselling pickup, and if there were an award for 'most improved range', it would be a clear winner. 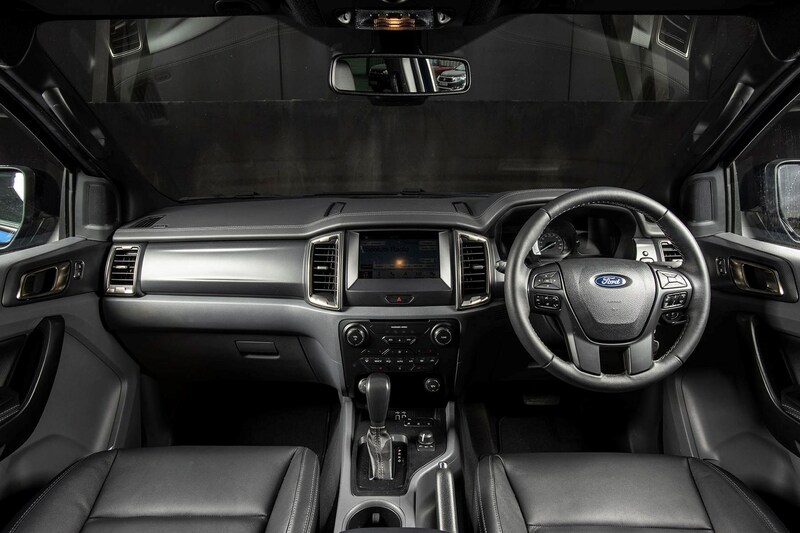 Since 2011 the Ranger has gained a bold, distinctive identity outside with fit and finish the equal of Ford's passenger cars, and an interior that feels more like a ruggedised premium car than a softened commercial vehicle. Ford's Sync 3 infotainment system is impressive and easy to use, with a full suite of connectivity features. 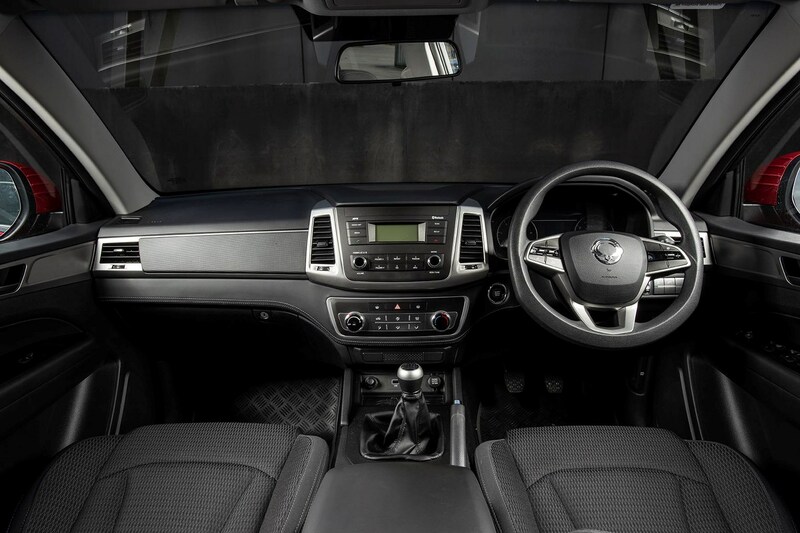 Go for the top of the range, and the Wildtrak X's leather-trimmed, high-tech dashboard and comfortable, broad seats set a benchmark that is some way ahead of other pickup interiors. Drivers may find some of the controls fiddly though, particularly the hard-to-see temperature adjustment. On the road there's no disguising the Ranger's size and weight, and though the 3.2-litre engine ensures plenty of get up and go, the handling encourages a degree of sit back and wait. The steering feels remote and a little slow to respond, yet the front suspension feeds back a little too much on rough surfaces. If you care about a sporty experience behind the wheel, wait for the Ranger Raptor, a high performance off-road variant, coming as part of a 2019 Ranger facelift. 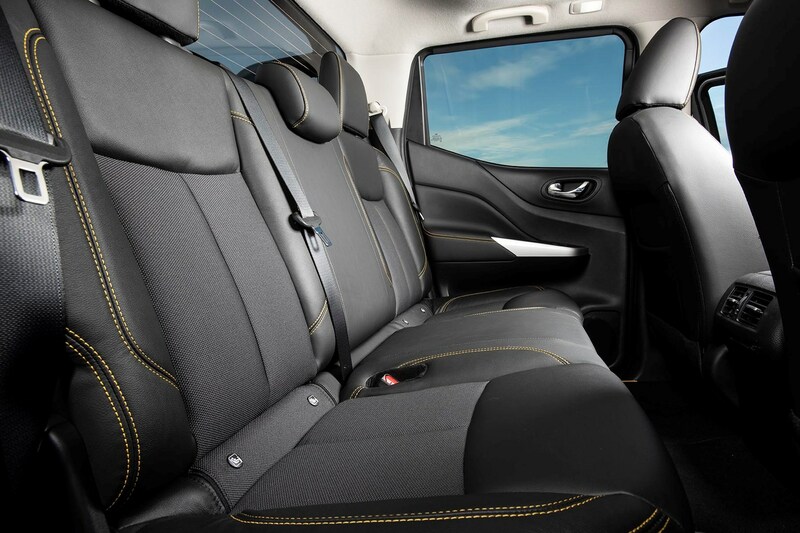 Ride comfort is improved by those intelligently designed seats, so adapting to the feel behind the wheel is not a big deal. It's a small complaint, really, given how well the Ranger translates American-truck attitude to European roads, and it's an excellent long-distance hauler. 2019's range replaces the 2.2-litre and 3.2-litre engine choice with a single 2.0-litre EcoBlue diesel producing up to 213hp. 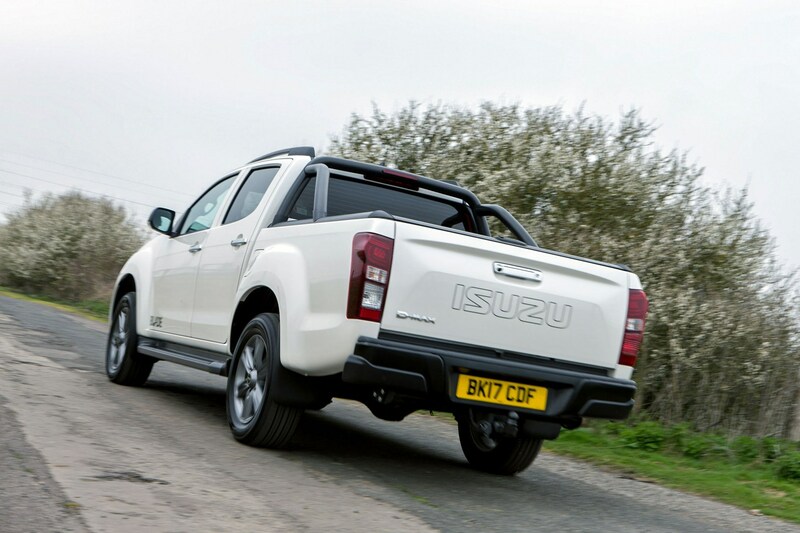 Of the pickups tested here, the Isuzu is the least pretentious, and the one least likely to be found parked outside Waitrose after the school run; that's as much down to the dealer presence and brand identity as the pickup itself, however. It can look pretty menacing in the right specification. Just check out the pictured Blade model, or the limited edition V-Cross. 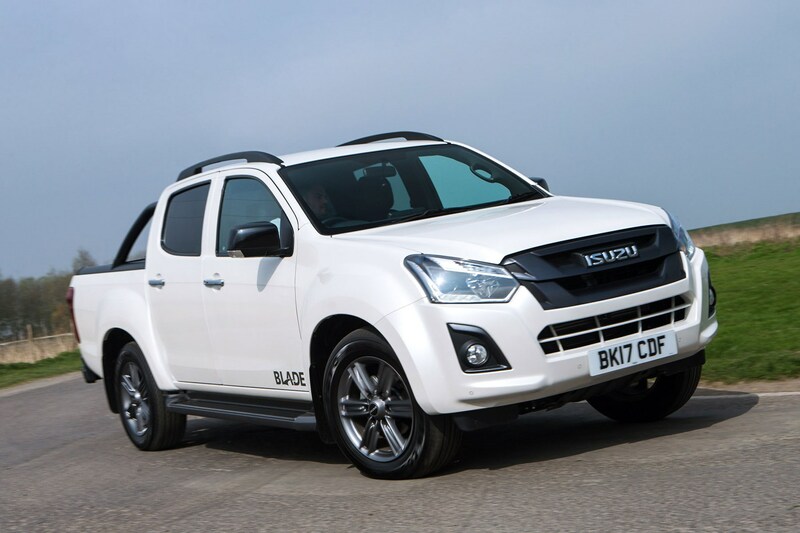 Knowing that its market is made up of people with a job to do, the D-Max means business inside. 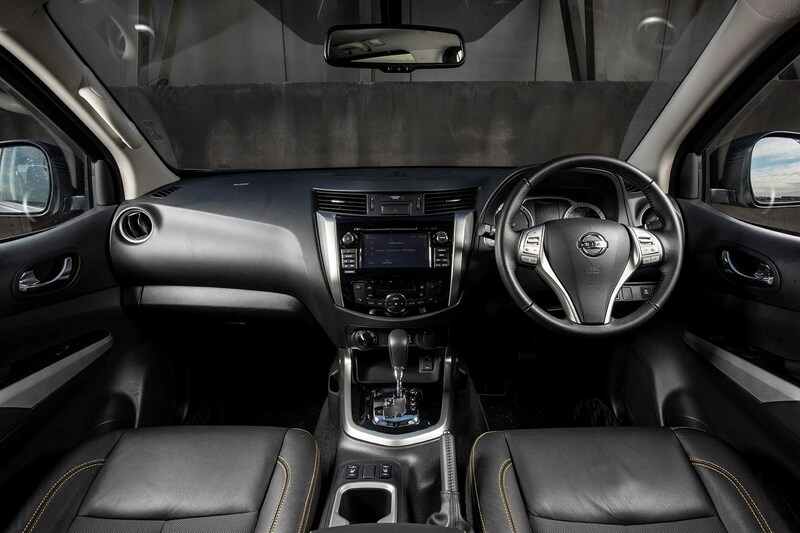 Big, robust dials that can be operated with gloves on, footwells and pedals large enough for work boots, and hardwearing materials are lifted by touches like roof-mounted surround-sound speakers on higher specification models. 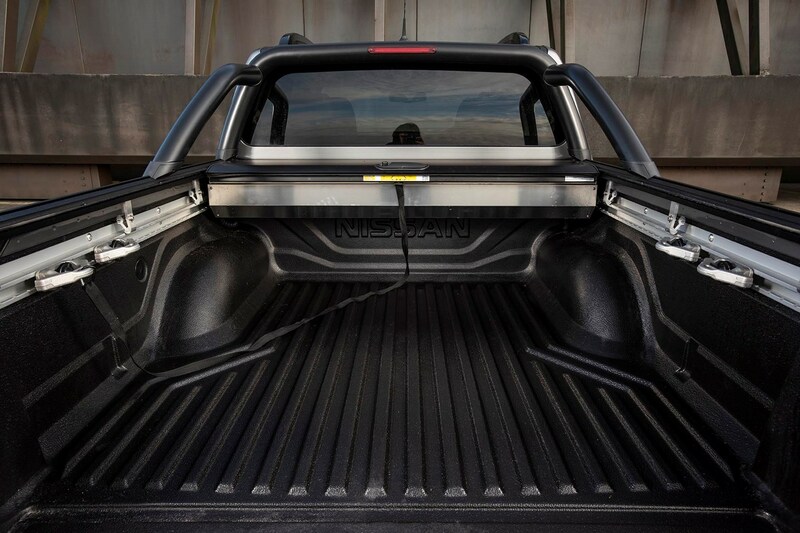 Overall, the D-Max has a no-nonsense air about the interior and body. There is some nonsense under the bonnet though, at least if you're still a fan of displacement. To lower emissions, the D-Max has the smallest engine here. Its 1.9-litre engine produces 161hp, but has to work hard to do it. Given that it's rated to tow 3,500kg, you'd be forgiven for thinking it's barely adequate; you'd also be right. A fussy six-speed automatic gearbox doesn't help matters. 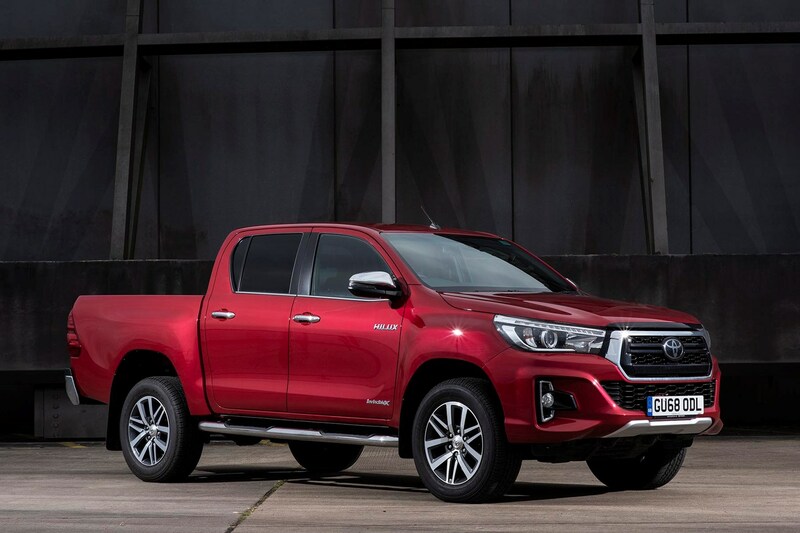 Choosing between a Hilux or a D-Max could be tricky – but if you want something more like a car, this should be the first one to cross off the list, as it's the least refined to drive. Although the Amarok arguably beat it to the punch, the Mercedes X-Class makes a decent fist of a premium pickup. Sharing a surprising amount with the Nissan Navara, the standard four-cylinder models feel very much like a posher version of the same with a much classier interior and work well as a result. The V6-powered X 350 d is in a different league, and just as the power goes up, so does the price. Which makes the experience of the X 350 d even more confusing. It's effortless in power delivery, and has the advantage of true 4Matic permanent all-wheel drive, but it also feels less cohesive than the four-cylinder models; there's too much power and grip for a pickup that started out as a rear-wheel drive, four-cylinder proposition on the road. Add to that no appreciable improvement in interior quality, and some curiously un-Mercedes-like chromed plastic appliques on the front wings to denote the V6, and it all feels a little less than the sum of these parts should be. It's a very good pickup, but it's hard to see a justification for the extra outlay beyond a three-pointed star and bragging rights; somehow the X 250 d feels more authentic, and it's a tough call between that and a (much cheaper) Navara as it is. Arguably the pickup that sparked the UK's growing appetite for these tax- and family-friendly workhorses, the L200's fifth generation lost the rather cutesy rounded styling and gained a powerful, efficient new engine. As befits one of the more affordable models available, the interior is fundamentally basic and lavishly appointed with plastics most car manufacturers would keep below the eyeline, then lifted to plush Warrior or Barbarian specifications by leather seats, piano black detailing, upgraded infotainment, and extra soundproofing and technology. As one of the lightest pickups offered, the L200's performance is almost sporting in nature. The presence of full-time four-wheel drive that can be used in the wet or on mixed surfaces as well as off-road or on snow/wet grass helps get the torque to the road effectively, which helps a lot. Light, direct steering has a slightly slower response than its badge-engineered Fiat competitor thanks to a larger steering wheel. Tech-wise it still features an old-school five-speed automatic, albeit with paddle shift overrides, and there's no Hill Descent Control (this arrives with a major facelift in late 2019). The manual gearbox allows a more involved approach to using the wide spread of torque from the aluminium engine, and has a decent shift action despite a long throw. Infotainment, like Mitsubishi cars, relies on a smartphone for navigation and streaming but is easy to use. 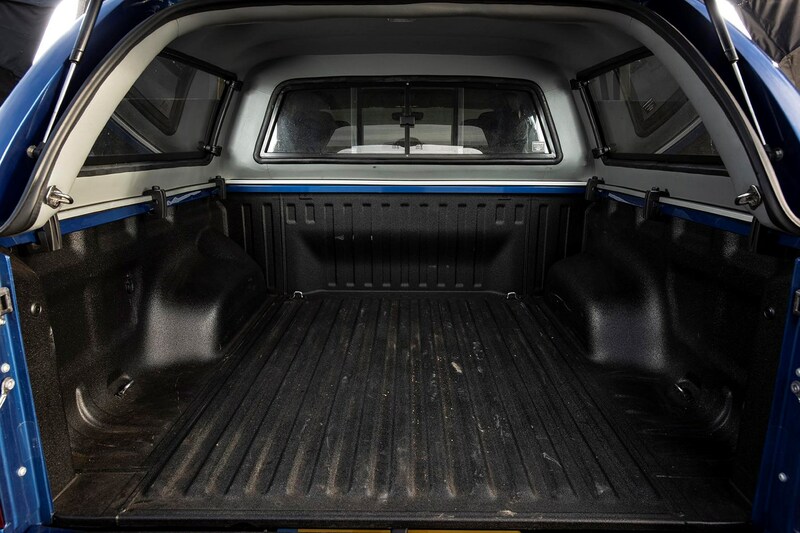 Towing capacity is a full 3,500kg, plus an impressive 590kg spare in the pickup bed – the L200 was the cargo king until the SsangYong Musso came along. 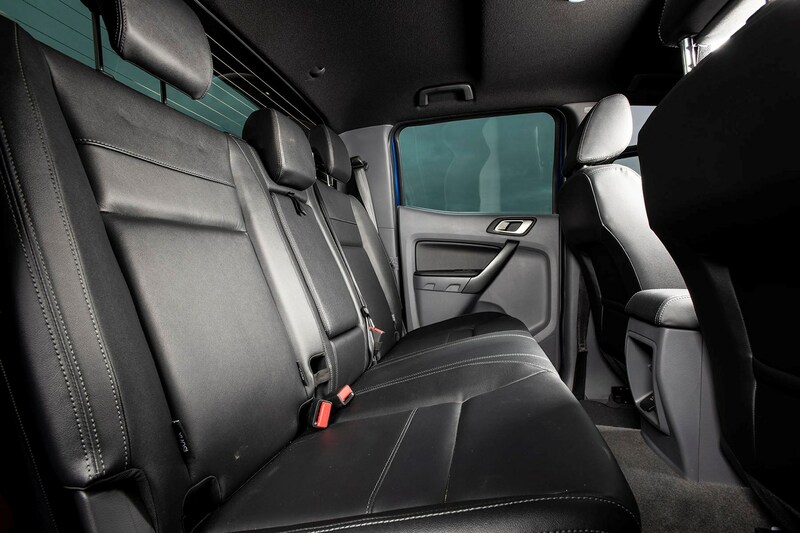 Rear passengers will find the upright seats less comfortable than the bigger pickups, but up front the relatively simple looking seats are surprisingly pleasant. It's particularly car-like to drive, and the turning circle is good, but hampered by the long rear overhang. For the money the L200 is a deeply capable and convincing all-rounder. As with the Fiat and Mitsubishi, the Nissan Navara shares its platform with a rival; in this case, the Mercedes-Benz X-Class, which at least means they're not directly competing, and Mercedes has made very effective changes to the chassis as well as the bodywork and trim, rather than borrowing it wholesale from Nissan. 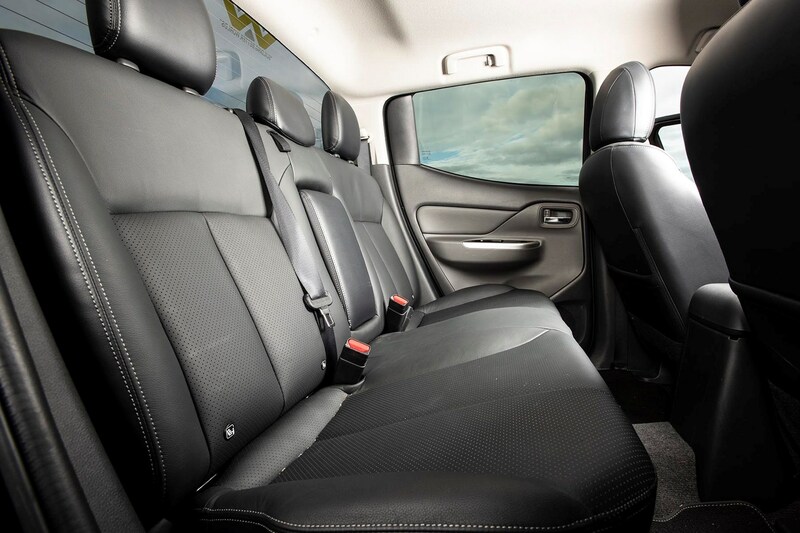 The Navara's interior is rather more industrial than X-Class's' expanse of matte-aluminium and turbine vents, but look down and there's a lot in common too - not just the 2.3-litre single or twin-turbo four-cylinder engines. 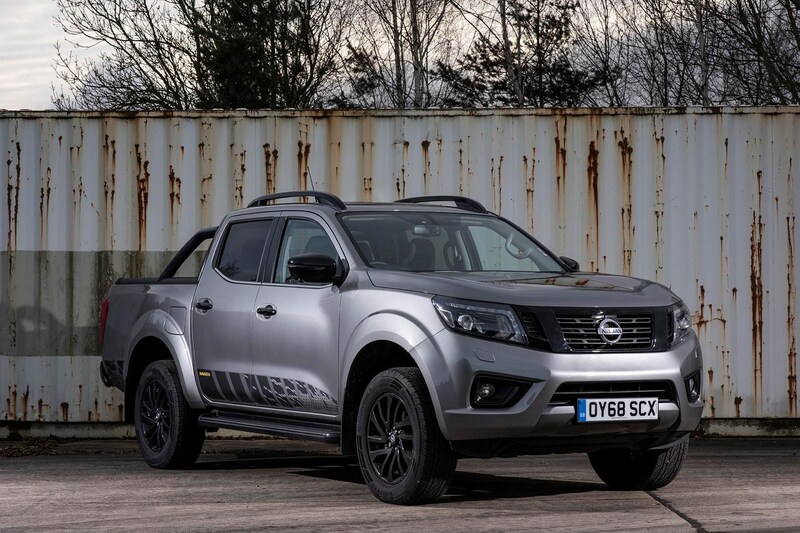 Features like a surround view camera and clever pickup bed attachment points give the Navara an air of consumer friendliness that would suggest it would suit families as much as contractors. High speed stability is commendable thanks to the car-like coil-spring suspension, but it can be unsettled by bumps which results in a rather unwieldy feel away from the motorway, and it's not the best when fully laden either. Off-road ability can be enhanced with an optional locking rear differential, and it's also one of the few pickups offered in the UK with a sunroof, if you like a bit more light in the cabin. 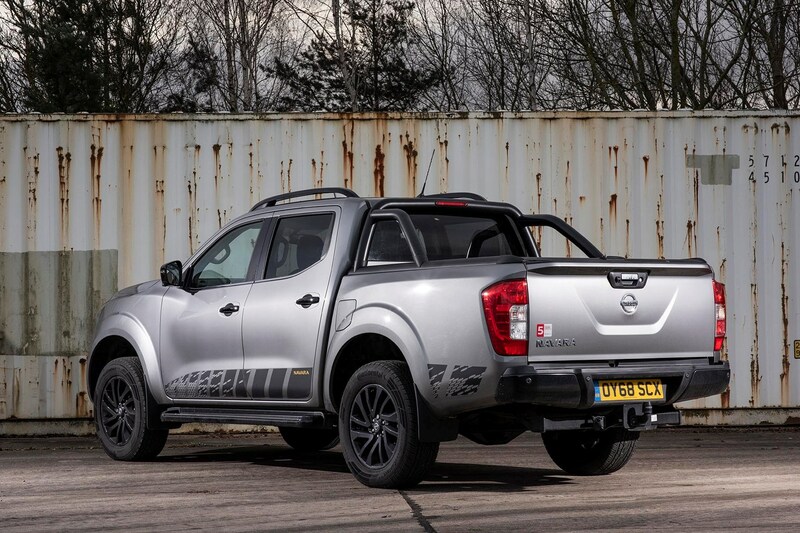 Overall, much of the Navara offers an experience as polished as its Mercedes cousinm but for far less money. So if you can live without the Teutonic aesthetic and sharper handling, it's a safe choice. This is not the SsangYong you've known previously, at least if you were paying attention during the previous decade. Now part of Indian automotive giant Mahindra & Mahindra, SsangYong has developed a comprehensive range of competitive off-road focused vehicles that achieve distinctive styling without sacrificing attractive proportions. It's even followed other Korean firms by including a seven-year warranty. 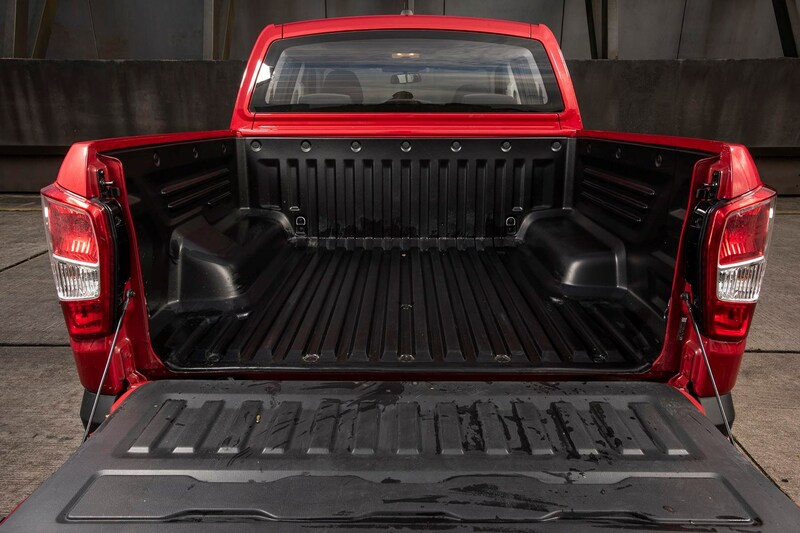 The Musso pickup exemplifies this transformation, standing out from the rest of the pack with a very car-like design that tightly integrates the loadbed, and an interior to match. It's one of the shortest pickups on sale currently, at just under 5.1 meters long; it makes up for it in width and height. Much of the quality feel is inherited from the pickup's sister model, the Rexton SUV, and it also inherits the 181hp 2.2-litre diesel engine, optional six-speed automatic gearbox and coil-sprung multilink solid rear axle. At Geneva the leaf-sprung, LWB Musso Grand was revealed with a 310mm extended bed, which would make it bigger than any other pickup in the UK – if it comes here. Around £28K excluding VAT gets a Musso in top-spec Saracen trim. It's got a 9.2-inch touchscreen infotainment system with Apple CarPlay, heated and cooled front seats trimmed in high-end Nappa leather (rear seats are also heated), and it's the only pickup with a heated steering wheel – yet more elements shared with the Rexton. What it doesn't share is the comfortable ride quality. That Rexton platform is being asked to carry over a tonne of potential extra weight, and giving it the ability to be the strongest hauler has made it a little skittish when unladen. Ironic, given the luxury trappings, low cost and short overall length (for a pickup) that make it seem ideal for city-dwellers looking to project that go-anywhere attitude to passers by. For many British drivers, the Toyota Hilux is the definitive working pickup; over several generations it's proven reliable, capable and trustworthy for countless farmers and construction firms. What Hilux hasn't grasped fully is the concept of a pickup as a want, rather than a need, so that reputation is built on functionality and strength. Like many reputations, it's a bit one-sided. The Toyota Hilux has one weakness, really, and that's a lack of on-road performance. Even so, the 150hp, 2.4-litre diesel can take the tough Toyota to 62mph in 12.8 seconds – we're talking small car, not agricultural machinery performance. 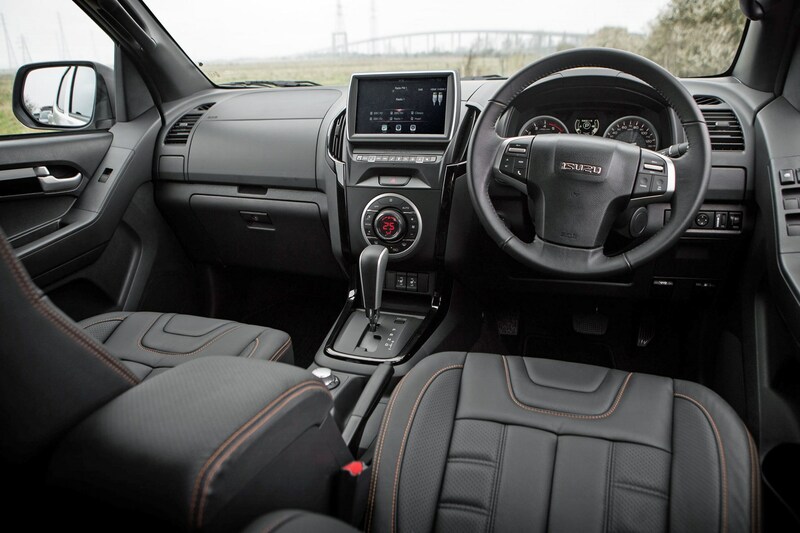 Inside the Hilux, you'd be forgiven for thinking you'd got into the wrong car. The interior is made of hard-wearing materials, but it's boldly styled around a large central infotainment screen; substitute open-pore natural woods and stitched vegan leather for grey plastic and it's better than some of the shapes you'll find in genuine luxury cars. 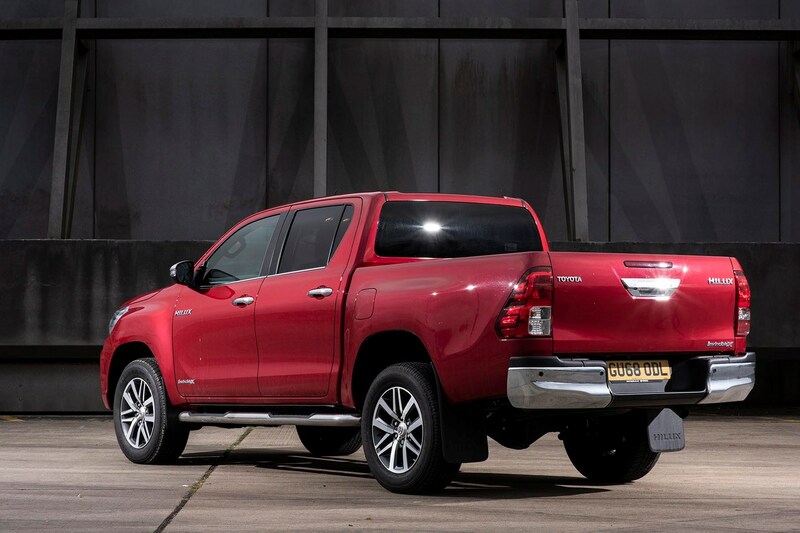 Above all, the Hilux has remained well-made and robust enough that you can be confident of a long working life from it, and Toyota dealers are some of the best around. Keep it until it cannot work anymore, and that value for money should be a solid 5/5. VW's big pickup has been on sale since 2011, yet it still feels like it's a generation ahead of the rest. This is, in part, thanks to the clean-sheet design that owes nothing to prior pickups, and also down to a steady programme of facelifts and upgrades. Volkswagen is a master at maintaining brand value through a strong identity, and if you want something that's basically the pickup equivalent of a Golf, this is it. Not only that, it's the GTI – no stripped-back economy specials here, as much of the Amarok's appeal comes from the impressive V6 engine. 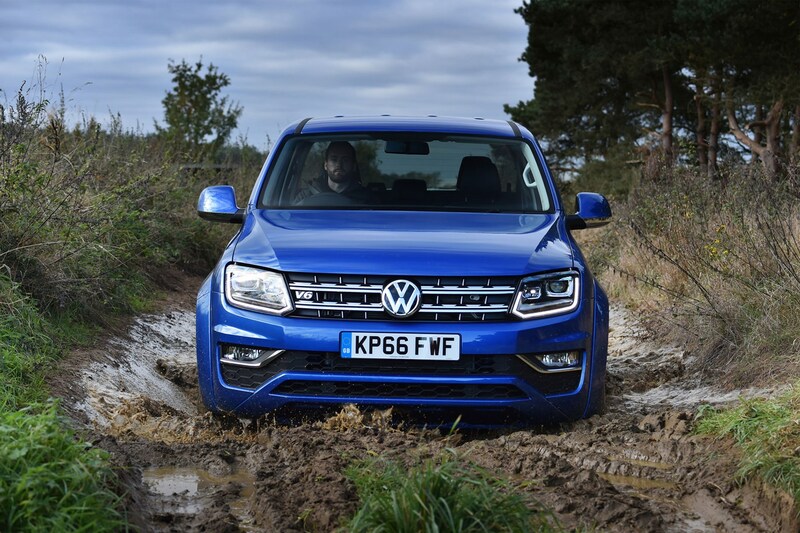 Without significantly compromising the pickup's ability as a working vehicle (it's actually one of the most practical, too) VW has fitted seats that would be the envy of most luxury cars, high-end tech and a layer of attractive, functional design that sets it above the rest of the market. It's a big beast, and not the most nimble, but at speed it's truly refined and comfortable enough to rival most SUVs. That competence and performance does come at a price; this is the most expensive pickup apart from the Mercedes X-Class, which – realistically – it outclasses in almost every way. So it still represents decent value. Which pickup is best for me? Let's face it – a lot of double-cab pickups are chosen because they look cool, and may never get used to their full ability. Models like the Mitsubishi L200 Warrior set the stage for chrome bars, big stickers, bold road presence and on-road refinement, and that's where nearly all of these trucks are aiming. 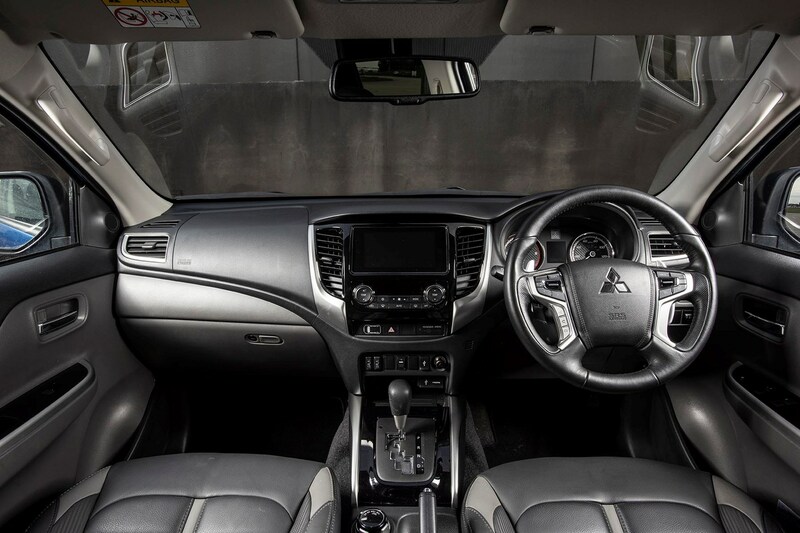 If you're considering a pickup as a more versatile alternative to a car, and don't want to end up spending more than a decent hot hatch or SUV, the Mitsubishi L200 Barbarian has quick responses and light steering, easy-to-use all-wheel drive and a massive range of decorative and functional accessories. You can get wilder L200s too, such as the Black Edition and SVP models. 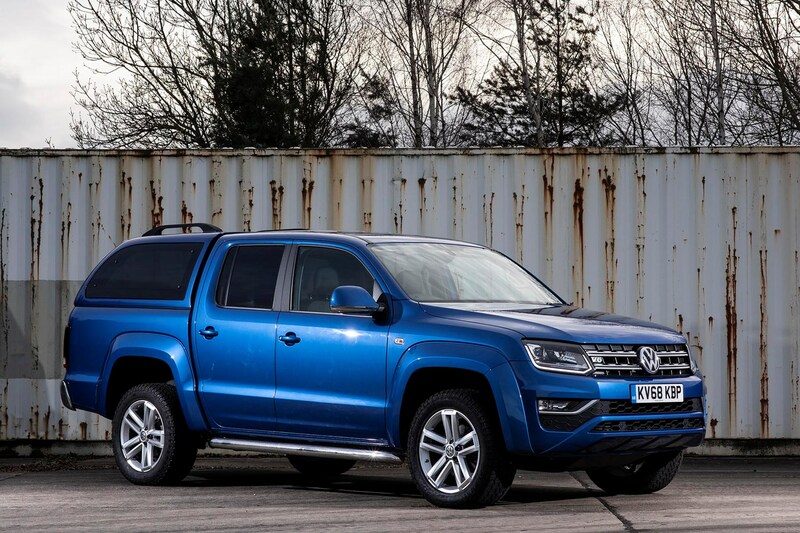 If you can justify spending more, the Volkswagen Amarok's badge prestige, solid road presence and genuine passenger comfort and refinement are backed up by a four-wheel drive system that's seamless in operation. It'll shame the occasional hot hatchback down a motorway sliproad just as easily as pulling a boat and trailer up a harbour slipway, but it's not particularly nimble or fun to drive down congested urban streets. Ford's upcoming Ranger Raptor - available to order now, but yet to arrive in the UK - is unashamedly tuned for off-road sports and looks like a Dakar rally truck for the road. But, like the top-spec Amarok Aventura, it's £40,000 plus the VAT. Technically, nothing can match the SsangYong Musso automatic, thanks to a 6,750kg maximum allowable mass. As a result it can tow 3.5 tonnes while also carrying over a tonne in the load bed. 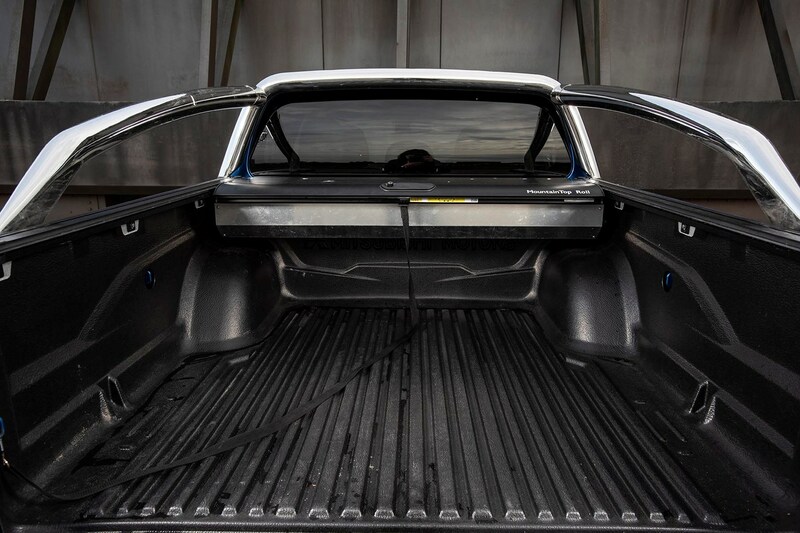 At 1,300m x 1,570mm that bed is a little smaller than competitors, however, so you'll be loading it with lead weights to get the maximum 1,085kg in such a small space. 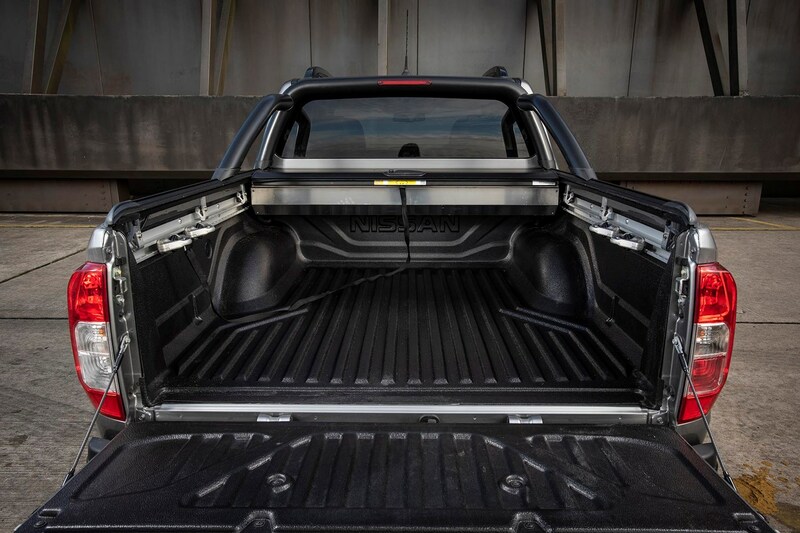 If you need more load space, the Mitsubishi L200's combination of permanent all-wheel drive, 1,470mm-long load bed and 3,500kg + 590kg capability makes it a great all-rounder. 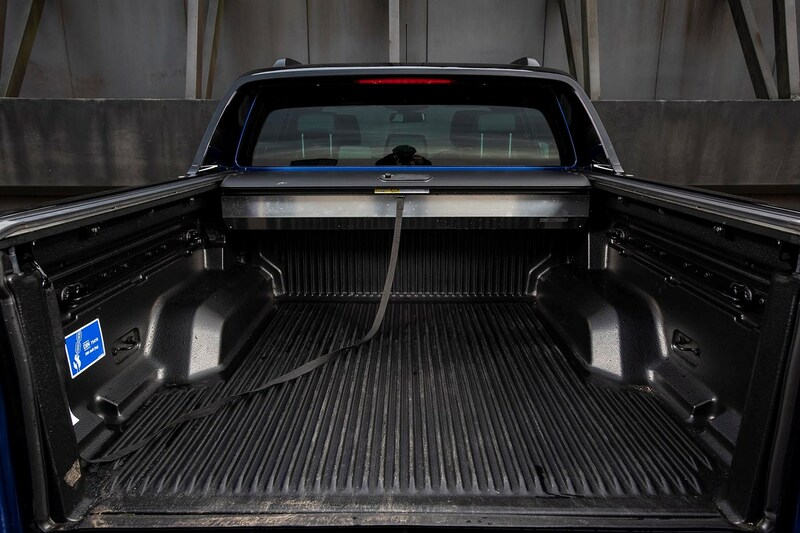 For difficult trailers and tow-hitch attachments, the D-Max's impressive 225Kg nose weight capacity has the solution. If you know you don't need the full load and towing capacity, then the larger-engined Ford Ranger and Mercedes X 350 d have the torque to make towing not just legal, but comfortable; and if you only need to tow lighter loads the Amarok's 580Nm and refinement suit long-distance towing perfectly. We're waiting for the performance pickup battle to take off later in 2019 – Ford's Ranger Raptor and the possibility of an AMG-tuned X-Class are waiting to tap into that market. Until then, Volkswagen has got you covered with the 258hp Amarok V6. It will reach 62mph in 7.4 seconds, and with a mighty 580Nm will make light work of its maximum 3,100kg towing weight. That's not all it has to offer, either – mash the pedal, and overboost delivers a short burst of 272hp, leaving its closest rival the X-Class V6 in the rear view mirror. 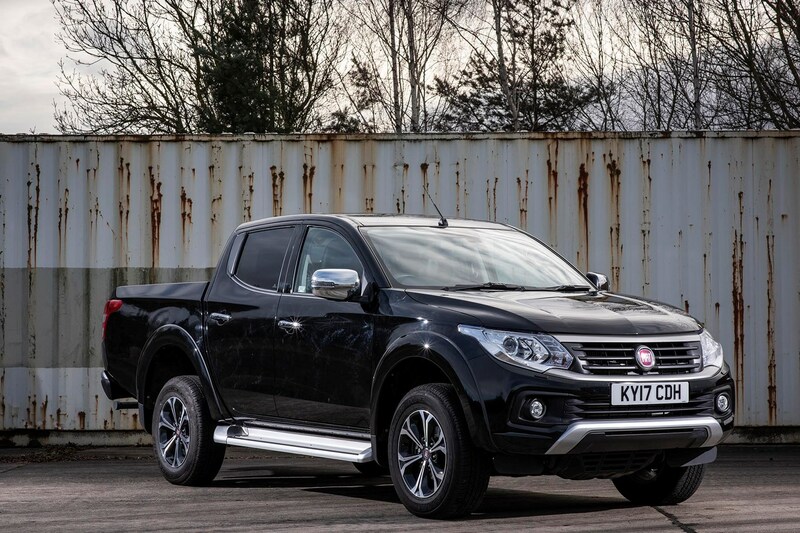 If you've a more pragmatic approach to performance, the Mitsubishi L200 and Fiat Fullback take the classic sportscar approach to pace, but the Fiat has a smaller steering wheel for better feel. Being light, and endowed with a lively (for a pickup) 2.4-litre diesel, they feel less unwieldy than the biggest pickups, bordering on nimble. Not all models are equal, though – watch out for variants such as the Fullback Cross, with off-road suited tyres that introduce a skittish feeling to the handling. 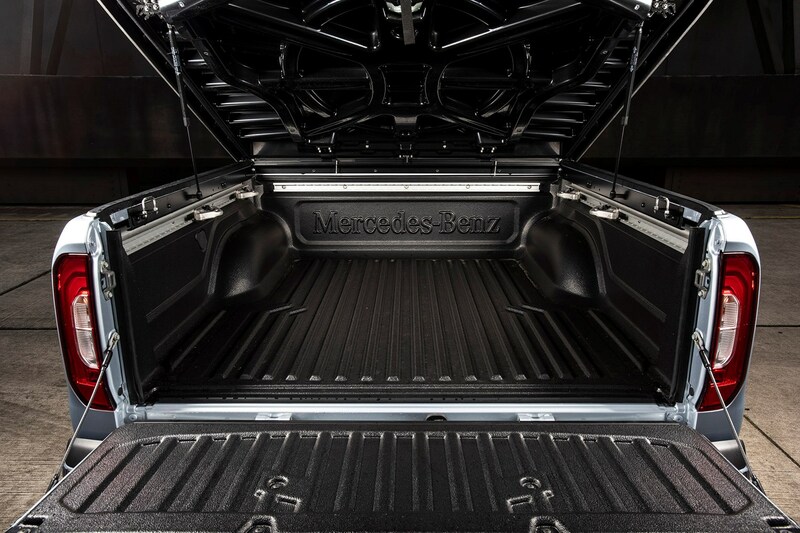 If safety is your priority, there's only one pickup to choose - the Mercedes-Benz X-Class. Not only does it have the highest EuroNCAP scores of any of the vehicles in this group test, it achieved them under the most recent (and therefore stringent) conditions. A full five-star score doen't tell the whole story - crucially the X-Class gets an impressive 87% for child occupant protection under 2017's protocol. Active safety features include autonomous emergency braking that performed well in all tests, lane assist and speed limit assist. Less technical features that will make for happy passengers include sturdy grab handles for the rear seats, ample legroom and comfy rear seats, plus wide-opening doors for easy access for babies and toddlers; Mercedes-Benz offers approved child seats to use the standard ISOFIX points, of course, and there's a range of lifestyle accessories for family trips. Of course, the large badge on the grille also helps it feel less like you're taking the kids to school in a commercial vehicle. The Mercedes also includes Mobilo Van, a 30-year European roadside assistance package that remains valid as long as you service the pickup with a main dealer (and their rates are generally reasonable for main dealer prices). This includes recovery, onward travel and accommodation, so for family holidays could be an extremely valuable help in the event of a breakdown or accident. The cloesly-related Nissan Navara is also a good choice, with similar safety tech, and Mitsubishi's L200 has the benefit of feeling a little less bulky behind the wheel - but gained only a four-star Euro NCAP rating under less stringent testing conditions, and lacks some of the more recent active safety features. 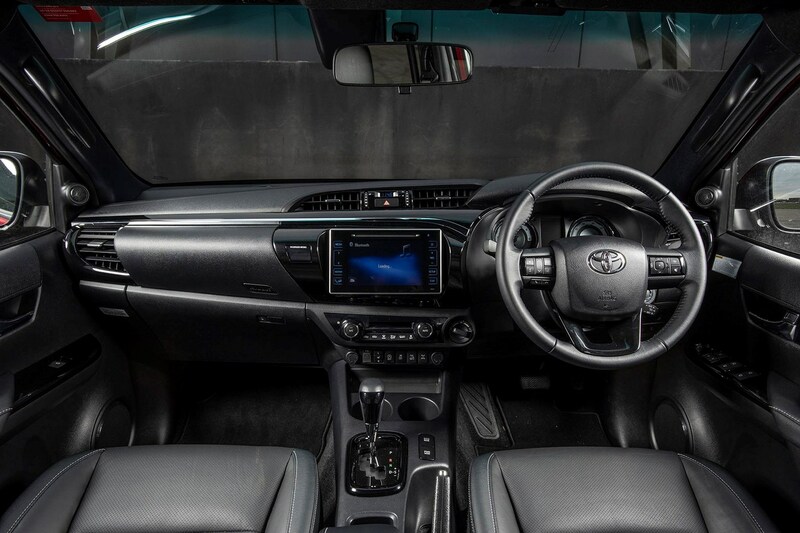 Reflecting changes in testing protocol, Toyota's Hilux - which scored very well for adult occupant protection - only got three stars in 2016 in standard spec, but was upgraded to five stars when specified with the safety pack. Chances are, if it's luxury you're after, the pickup you're looking at is about to push a £40K car off your shopping list. 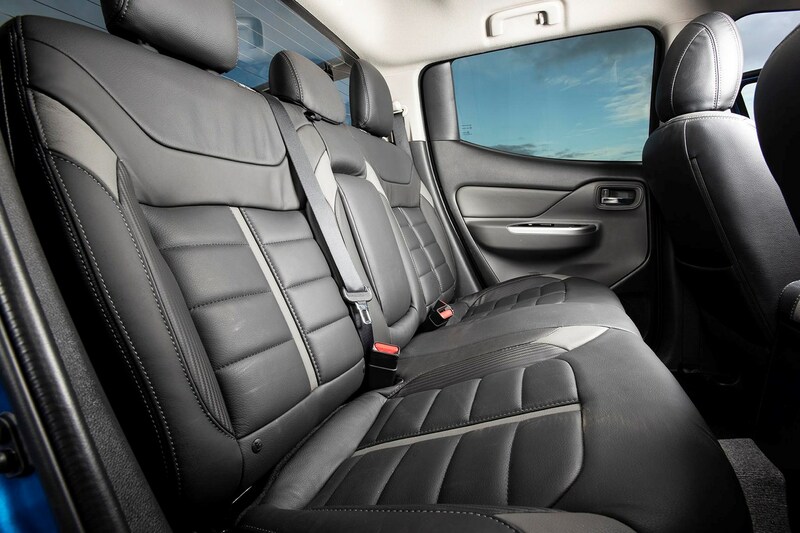 That's a lot of comfort and refinement to overlook, so can these commercial vehicles compete? Surprisingly, yes, they can. 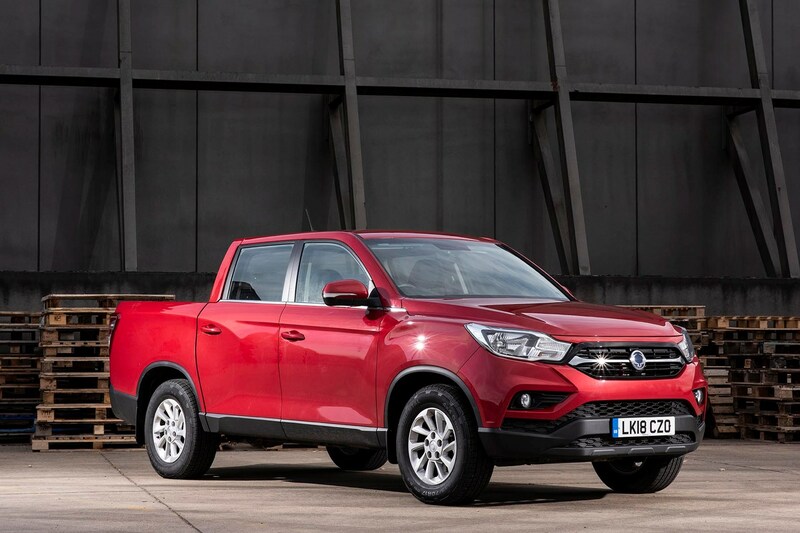 Naturally the most expensive duo are the ones that will tempt you away from leather-trimmed SUVs and executive saloons, but the Ford Ranger and SsangYong Musso present a serious challenge at a very competitive price. 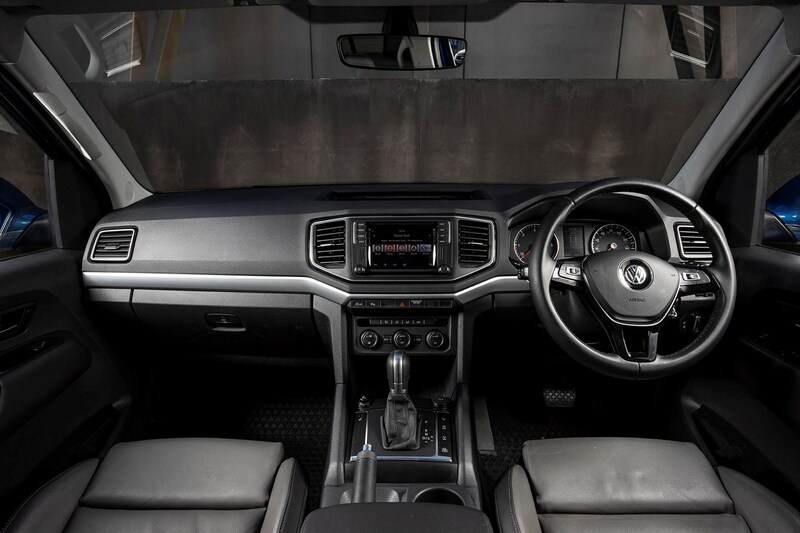 Volkswagen once again leads the way, with its own engineering throughout the Amarok's robust, yet lavishly equipped cabin. 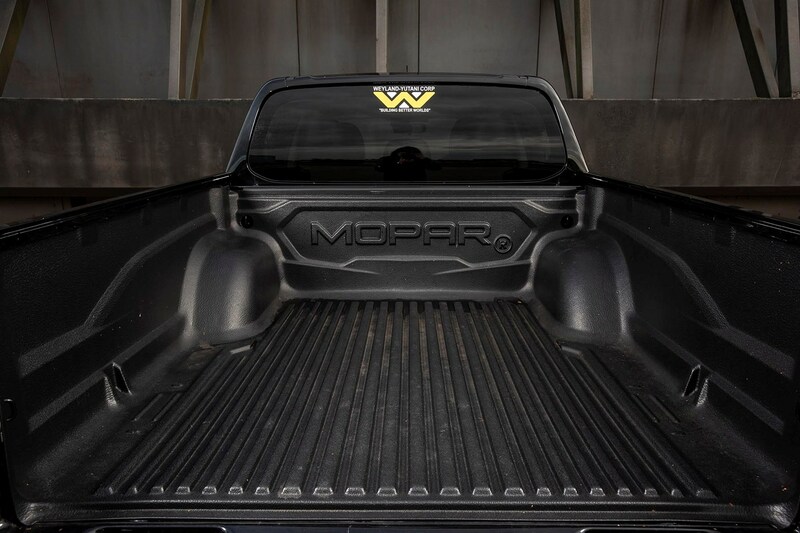 High-end audio, 14-way adjustable seats – it's all available if you want it, without losing the real-world needs of working pickups. 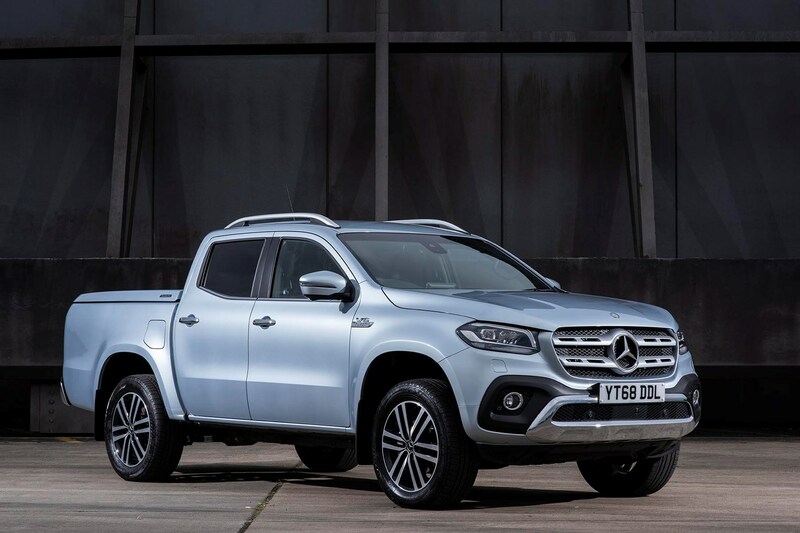 Mercedes-Benz has done a good job of uplifting the Navara foundations of the X-Class, but there are too many cheap and mismatched materials to feel truly premium. Ford strike a good balance, too, with the Ranger's stitched leather trim and interesting material highlights meeting some decent levels of kit in a very American-feeling layout. Although a budget model, the highest-spec SsangYong Musso Saracen goes the extra mile for gadgets and refinement. 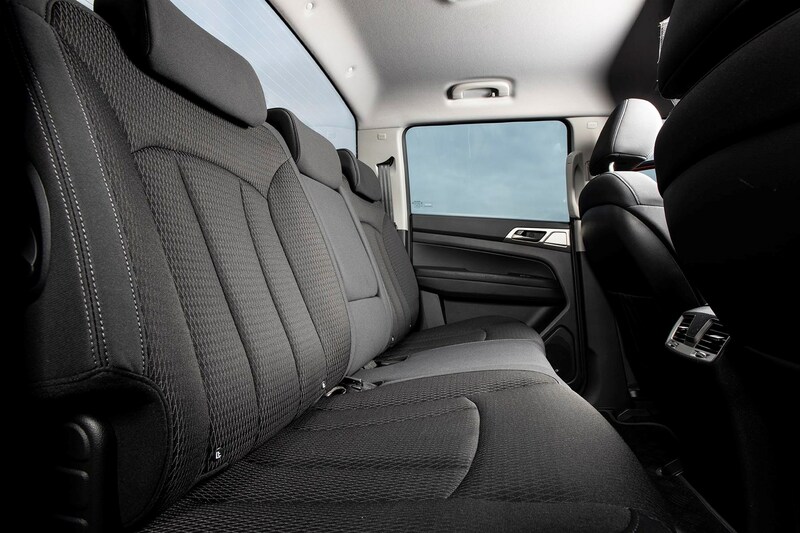 Excellent body insulation around the engine and doors, heated and cooled nappa leather seats and decent equipment levels are offered without spending more than a top-spec family car. Space and capacity are everything here. 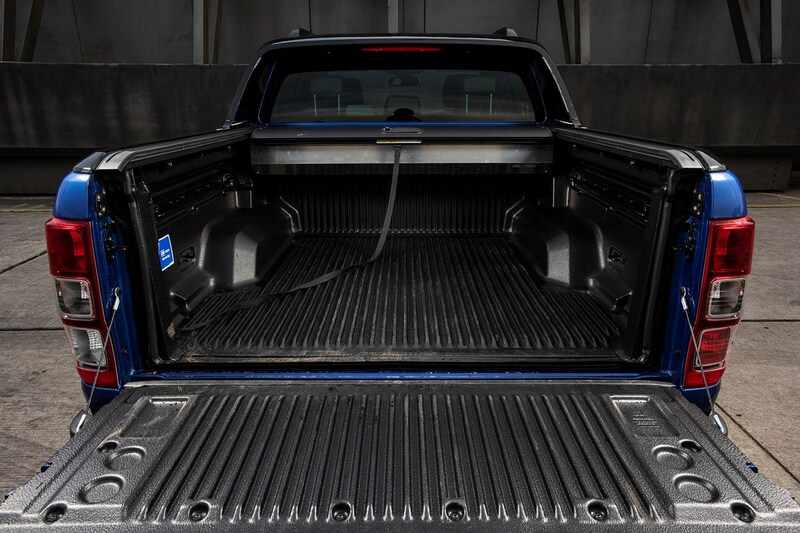 You've guessed it already, the Volkswagen Amarok is a strong contender lugging loads, as the massive load bay not only measures 1622mm wide by 1555mm long, it can carry 1,114kg. It's relatively low, too, meaning easier loading, and even the narrowest point between the arches is an impressive 1,222mm. 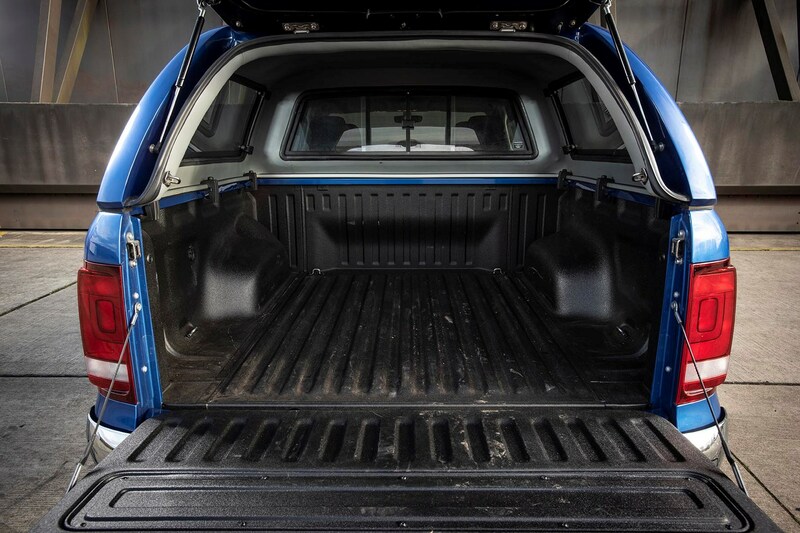 Toyota has squeezed an extra kilo of capacity out of the Hilux though, and it's still got a decent size of load bed at 1,525 x 1,540mm. Given how much less you have to spend to get the Hilux – and the lower running costs – that's the one we'd go for. 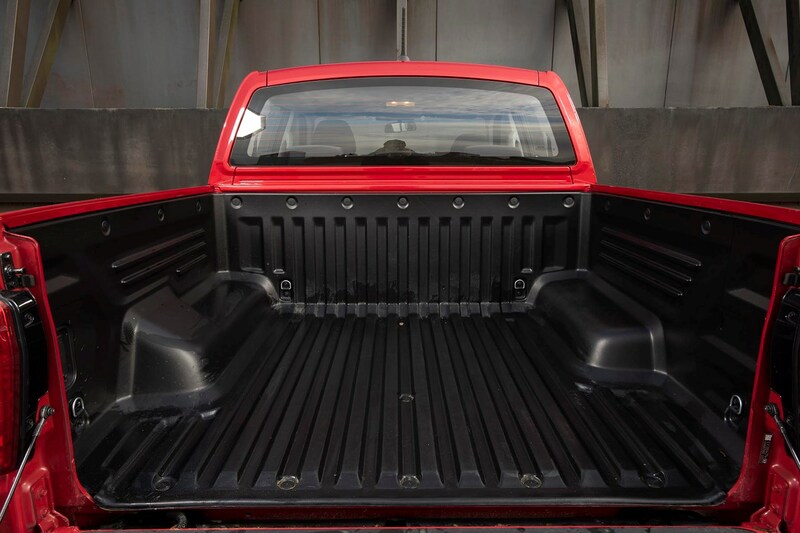 If the relatively spartan Toyota doesn't appeal and you want more attitude from your truck, Ford have given the Ranger an ample 1,549mm x 1,560mm, with deep 511mm sides, and it costs considerably less than the VW too. 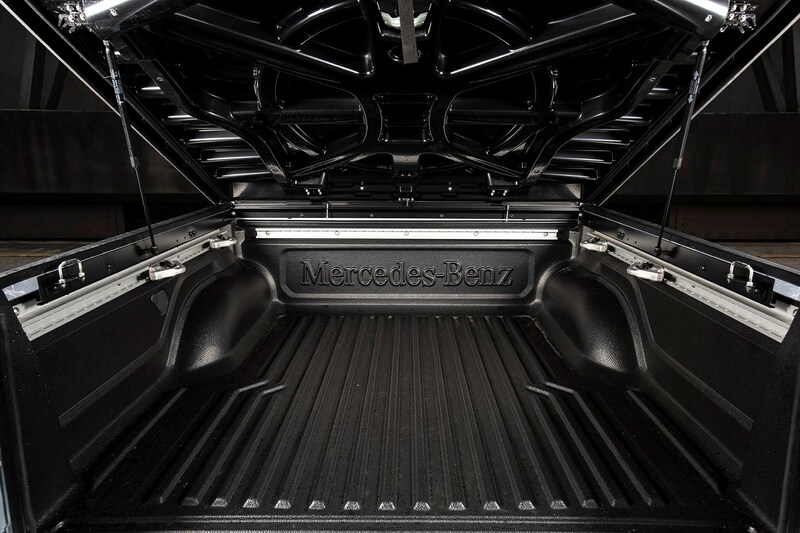 You'll want to avoid the Musso for big objects, despite the impressive payload capacity. 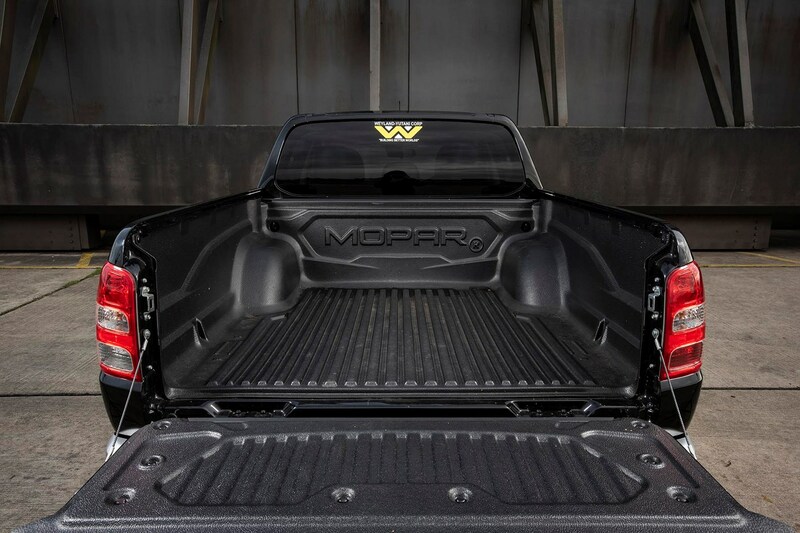 It's got the smallest load bed of any pickup here, at least until the larger Grand Musso is offered. Every one of these pickups has a degree of off-road capability that puts most modern SUVs to shame, thanks to strong axles, a separate chassis and good ground clearance. Only the SsangYong bucks the trend, with a (relatively) low wading depth and deep sills vulnerable to crests. If you're venturing off-road occasionally, then there are four pickups that stand out; the Mitsubishi L200, Fiat Fullback, Volkswagen Amarok and Mercedes-Benz X 350 d.
All feature permanent 4x4, selectable in the case of the Fiat / Mitsubishi twins. Fiat go one step further by adding a rear differential lock to the Fullback Cross and including tyres more suited to muddy fields than motorways, while VW's 4Motion system relies on more advanced technology to predict your needs. Experienced off-roaders will turn to the part-time 4x4, high ground clearance and short overhangs of the Toyota Hilux. Those with really extreme off-road needs might also consider the Arctic Trucks conversions that are officially available in the UK for the Nissan Navara (AT32), Isuzu D-Max (AT35) and Toyota Hilux (AT35) - of those the Nissan has the most powerful engine but comes in a slightly lower specification than the other two. 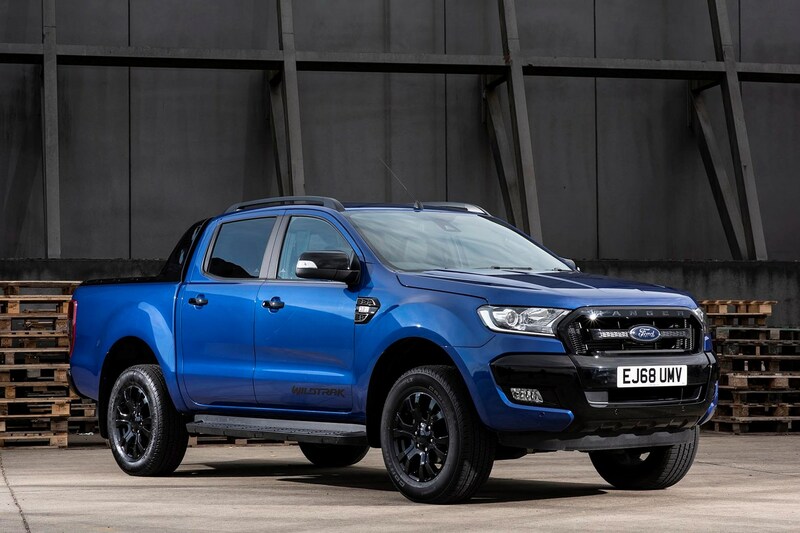 From building sites to showhomes, a quick extension to a multi-million pound contract, there's one pickup that shines for looking good on the building site or financial institution alike - the Ford Ranger. It's the only pickup currently offered with the option of adaptive cruise control, giving it a real advantage on long journeys. 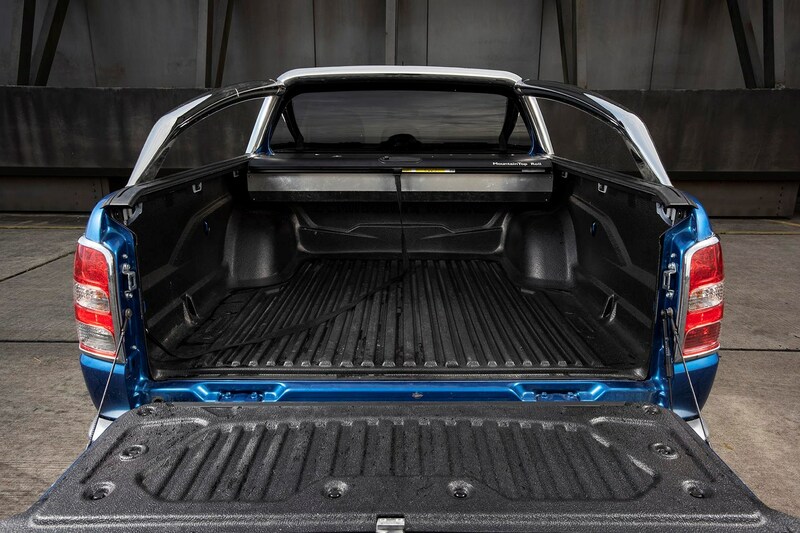 The large loadbed includes a tailgate that can support 220kg, too, making loading plant and materials easier despite the rear bumper. 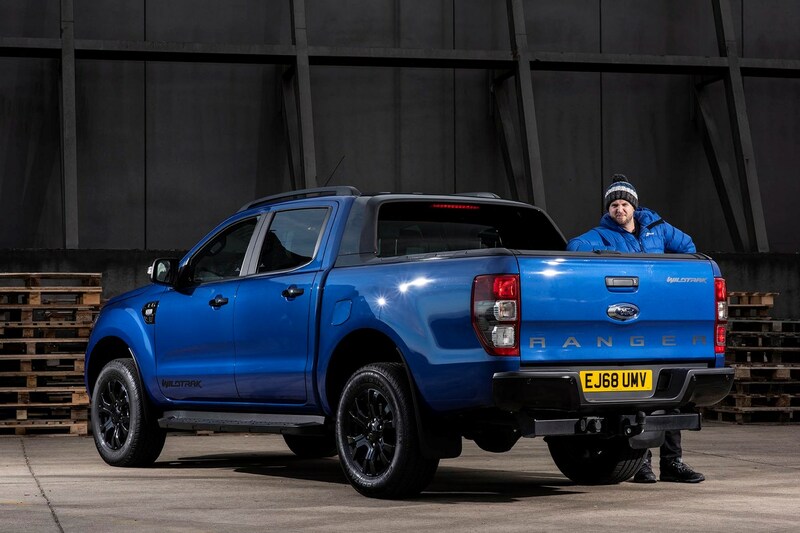 It's also possible to optimise the transmission for towing or economy when ordering, an unusual degree of customisation that reflects Ford's understanding of the commercial vehicle market. Of course, the Volkswagen Amarok covers all the bases if you're happy to spent the extra - but it has lower ground clearance. The image of the idyllic British countryside, with Land Rovers gruffly clambering around assisting shepherds, disappeared long before the Defender itself. That expensive, cramped and dated off-roader was supplanted by Japanese pickups for half the price, with half the alleged number of breakdowns too. As the Hilux has gained a large touchscreen and rather fiddly controls, we'd recommend the Isuzu D-Max for ferrying sheepdogs, sheep and supplies for farm maintenance tasks, while still having enough comfort for the family to take into town. A 225kg nose weight for the factory towing option is enough to handle most agricultural trailers, and it can pull 3,500kg - albeit slowly since it switched to the 1.9-litre engine in 2017. Anecdotally, we gather farmers were regularly towing 7.0-tonne loads with the old 2.5 twin-turbo. Anyway, Isuzu's rather sparse dealer network tends to focus on remote rural locations and garages that get to know you and your needs well. Isuzu also offers packages with aluminium hardtops and cages rather than aerodynamic fibreglass covers, so turnkey farming solutions are available without shopping around for bits. Talk about a tough decision. It's easy to discount the lower-cost, more utilitarian models when considering lifestyle models, but the truth is 2019's pickup buyers are going to have to try very hard to get a genuinely bad vehicle. 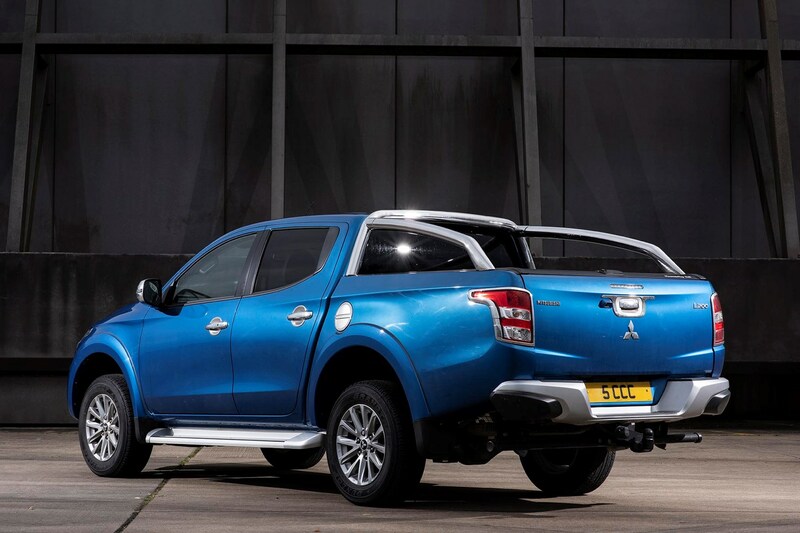 Affordability, flexibility and towing capability combine to make the Mitsubishi L200 the best overall pickup in the UK, offering excellent value for money without cutting too many corners in driving refinement, comfort or versatility. 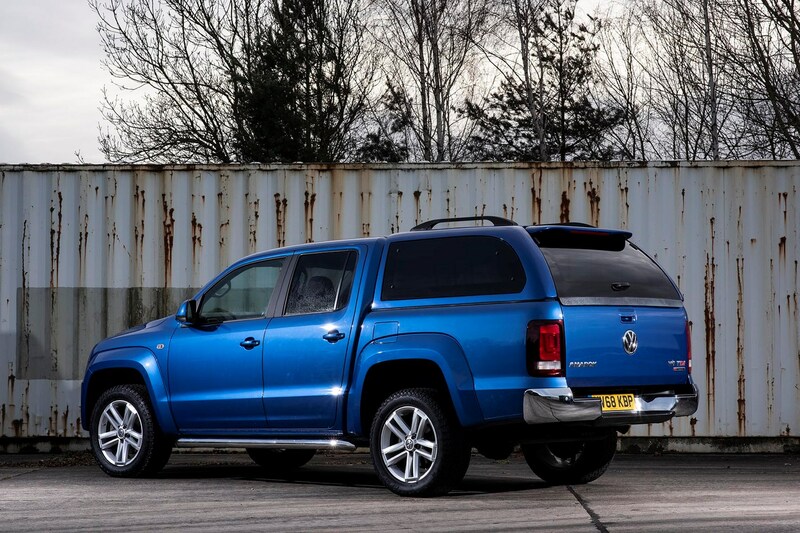 If cost is no object, then the Volkswagen Amarok is remarkable. It's big, yet feels reasonably handy on the open road, it's refined, it's powerful and it can carry a lot; only the lower towing rating keeps it from being unbeatable for all applications. However, the thirst of the 3.0-litre V6 engine, the cost overall and the potential future expense of maintaining that sophisticated all-wheel drive system count against it for the real world. Did you really test all the pickups on sale in the UK right now? Sort of. 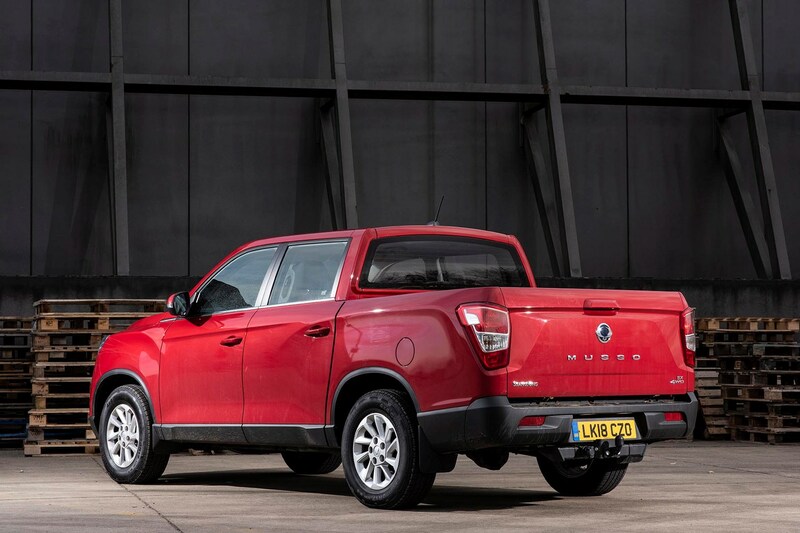 SsangYong still has stocks of the previous-generation Musso - previously known as the Korando Sports - available as a low-price entry level pickup starting at less than £18,000 excluding VAT. We'd strongly suggest comparing both generations if you're tempted, but the new Musso (and upcoming Grand Musso) are the fairest representation of what SsangYong offer now. ** Most pickups have seat height, reach, backrest angle and tilt or lumbar support; all on test have electric driver's seat adjustment. 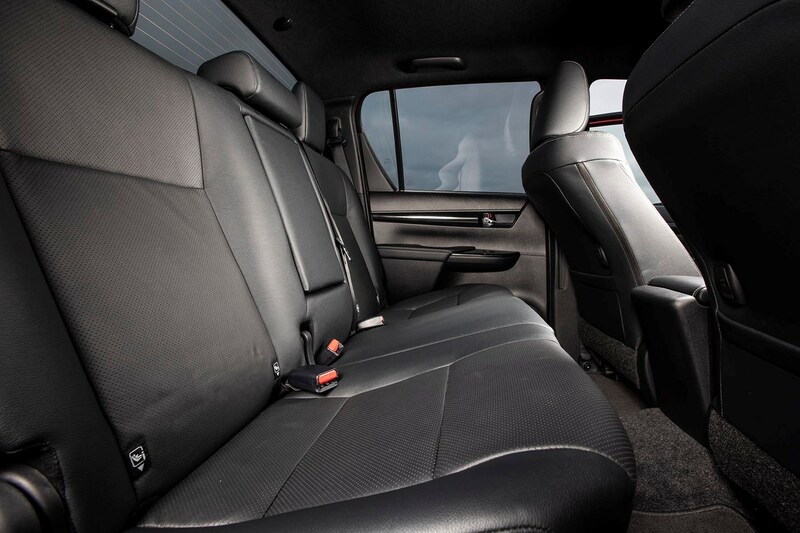 The Amarok has the most adjustable seats, with 12 electric movements out of 14 total. * Permanent, or full-time all-wheel drive can be used in rain, light snow or when moving from slippery to dry surfaces without problems. Selectable systems can be manually switched between rear-wheel drive and four-wheel drive for economy. Automatic systems like 4Matic or 4Motion do the same thing electronically, without driver intervention. Non-permanent four-wheel drive systems are not suitable for use on road.